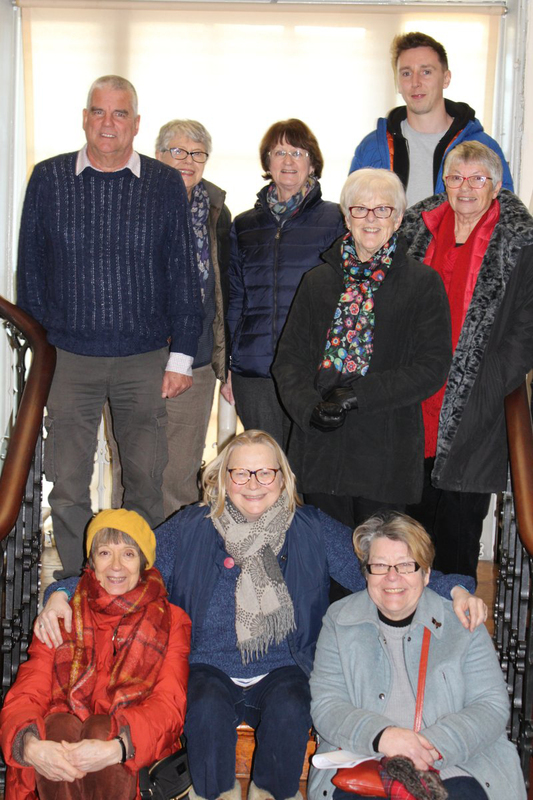 The University of Cambridge Museums (UCM) and Wisbech & Fenland Museum (W&FM) are working together to develop projects of mutual interest and to raise awareness of W&FM’s remarkable but little-known collections. 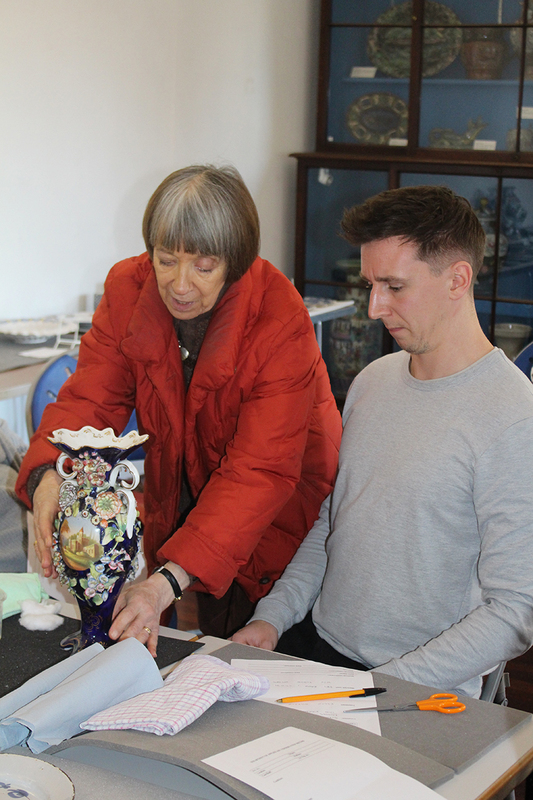 Operation Wisbech Ceramics is a pilot documentation project that seeks to get W&FM’s ceramics collections catalogued to a consistent standard, complete with measurements and documentation photographs, and online. 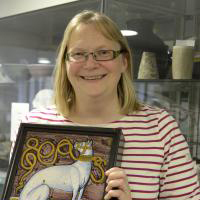 Having been Wowed by Wisbech and got the cataloguing project underway, Dr Julia Poole (Honorary Keeper of European Ceramics, Fitzwilliam Museum) and I returned to W&FM on Wednesday 30 January, accompanied by Tim Matthews, one of the Applied Arts Department technicians who has been trained in ceramics cleaning. 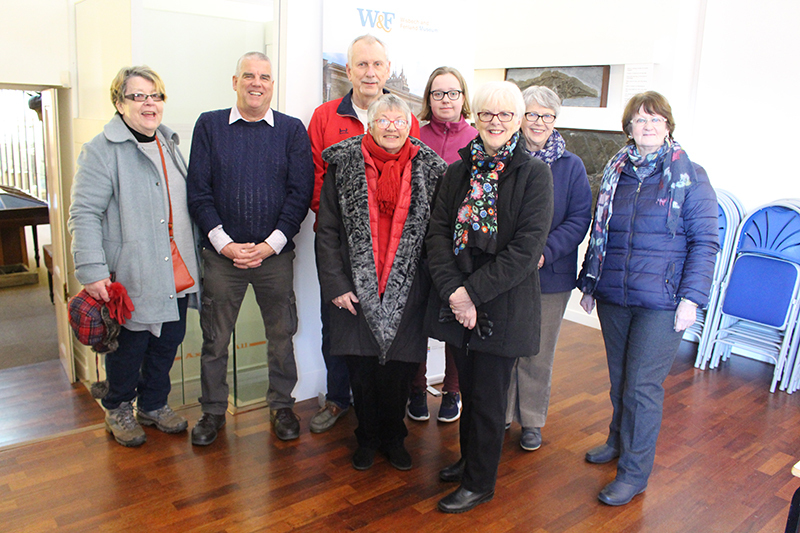 We had been invited back by Sarah Coleman (W&FM’s Head of Volunteering) as part of W&FM’s annual deep clean to lead a training day for volunteers in basic ceramics cleaning. The aim was to equip the volunteers (above)—who had already been involved with documenting W&FM’s ceramics—in how to surface-clean ceramics safely and correctly according to accredited Museum standards, so that they could then assist Robert Bell (Acting Curator) with cleaning W&FM’s ceramics holdings prior to re-display. When we arrived, Sarah and Robert had already set the room up with sturdy tables with spongey plastazote mats (to create a more cushioned working surface, which is advisable when working with fragile objects) and chairs. 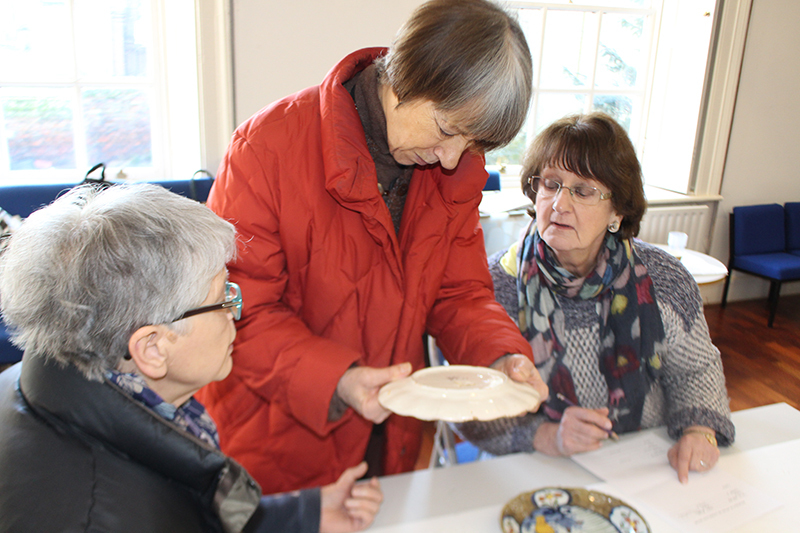 They had also selected the ceramics to be cleaned, focusing on those which were going to be on public display, and had laid them out on tables around the sides of the room with labels so that we all knew what we were looking at. 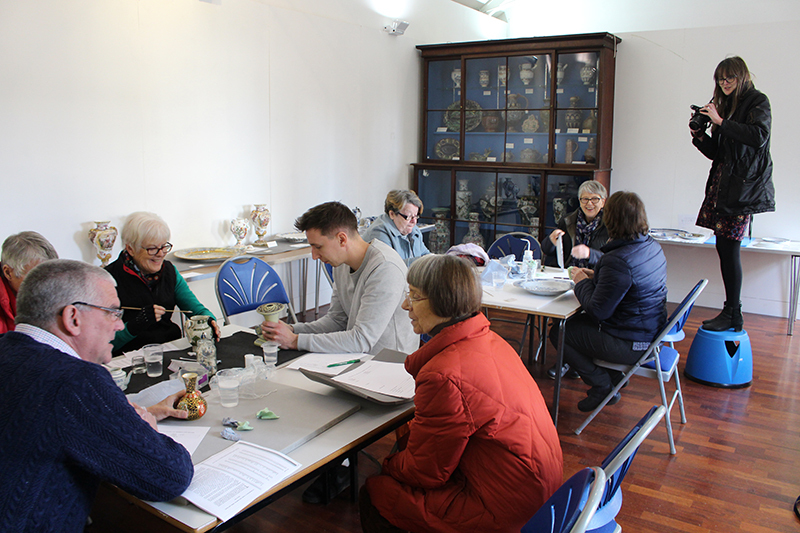 Once everyone had arrived, warmed up with a welcome cup of tea and coffee, and been introduced, the Wisbech Ceramics Spring Clean started in earnest! As with the documentation training day, it was decided not to ask volunteers to wear nitrile gloves because all the ceramics being handled were non-lustrous, glazed and vitrified, and thus impervious to moisture from human hands. 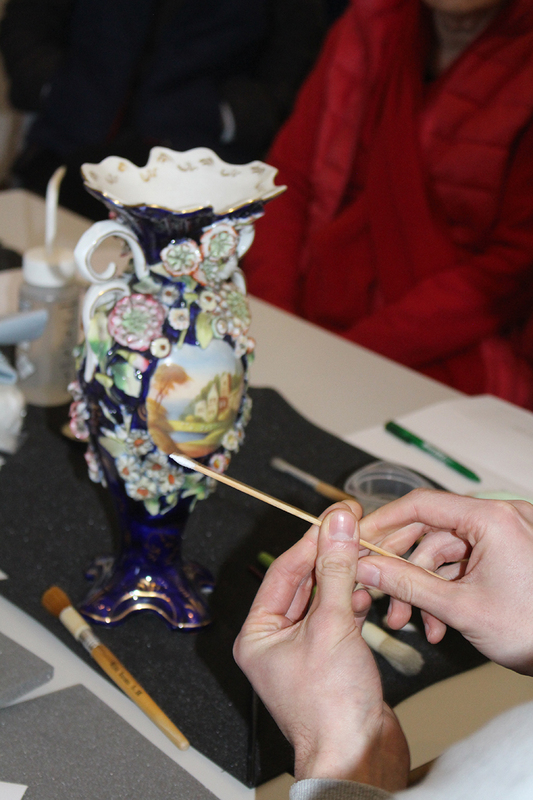 Moreover, all of the volunteers had been sent a sheet of ‘handling guidelines’ prepared by Fitzwilliam Museum conservators, which explained the need for thorough hand-washing prior to object handling without gloves, and the reasons for this. 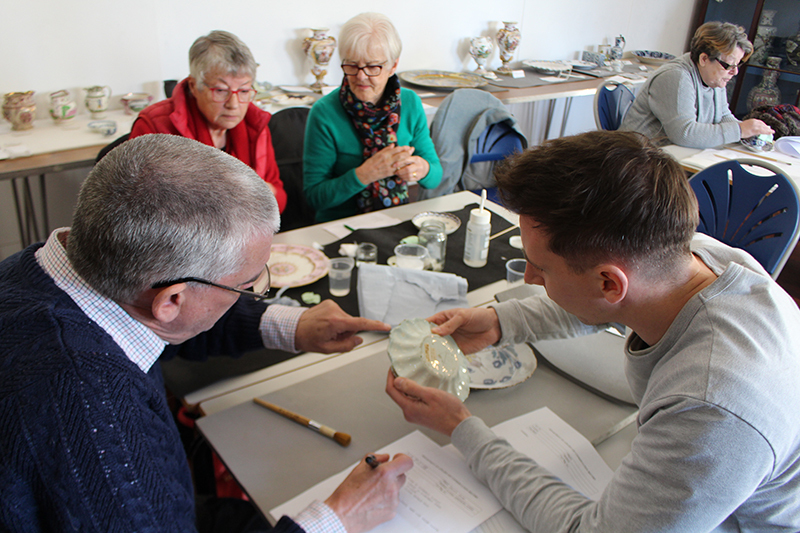 Tim Matthews led the training session (above) and took the volunteers through all the steps involved in cleaning ceramics whether by a dry clean only, or by combining it with a wet clean. 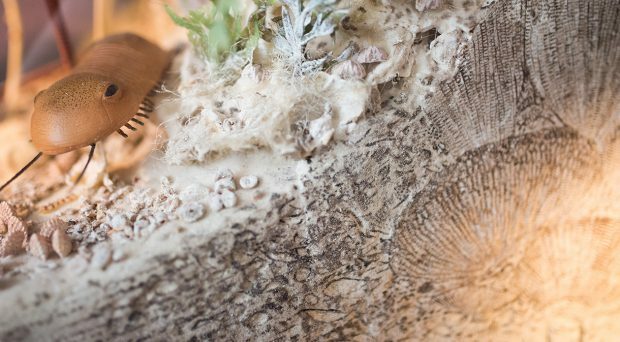 He started by explaining how to assess a ceramic object in order to ascertain if it is safe to clean and what to use when cleaning. Tim had brought along a template Conservation Record form and explained why documentation was so important and how to complete the various fields. The first step was undertaking a careful condition assessment as this would determine the type of cleaning (dry or wet) that would be used. Volunteers were taught how to distinguish original faults that had occurred during the firing and manufacture process (which do not need to be noted within the condition field as these are integral to the object) and subsequent damage suffered (such as major chips and losses to the ceramic body or glaze) and/or any restoration or repairs on the object (as these need to be recorded). 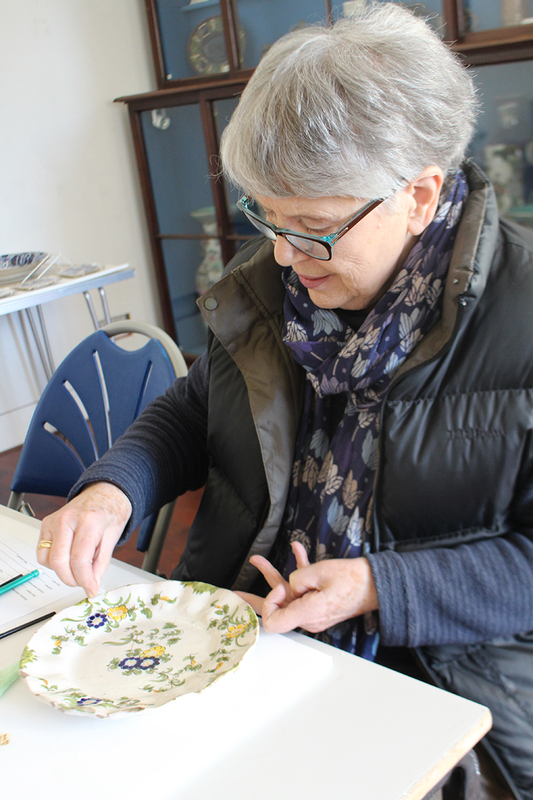 The volunteers were then taught how to decide whether an object was suitable for a wet clean, or should only undergo a dry clean with a brush. 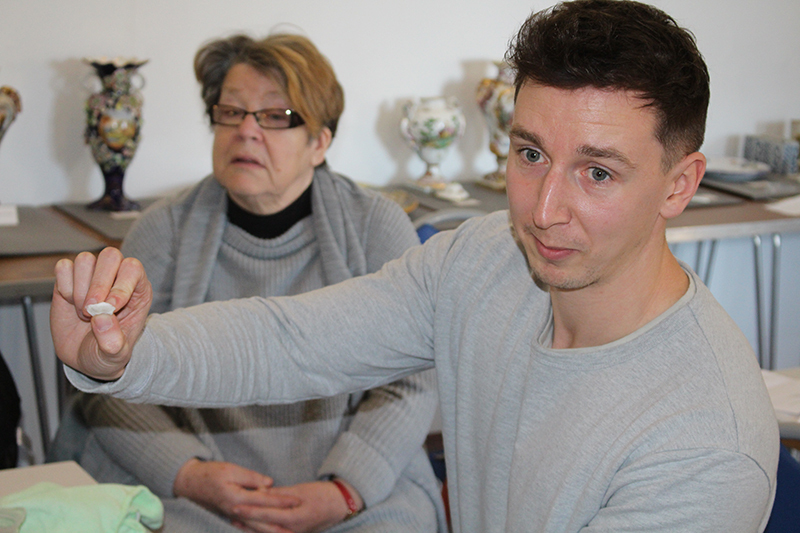 Tim explained that unglazed ceramics and those with any restorations should not be touched with detergents or water (as water can break down glues in restoration), and so an object with multiple repairs was best tackled with a dry clean only. However, in certain cases, if there is only one repair, it might be possible to do localised wet cleaning to avoid water coming into contact with repaired cracks. Tim then explained how to dry clean and correctly brush dust off the objects. 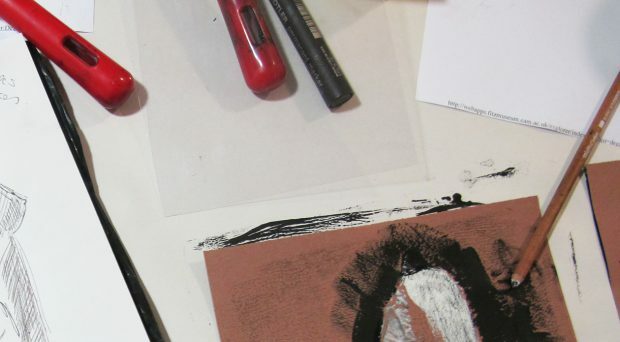 He started by demonstrating the process, step-by-step, with a plate as this is a relatively straightforward shape. 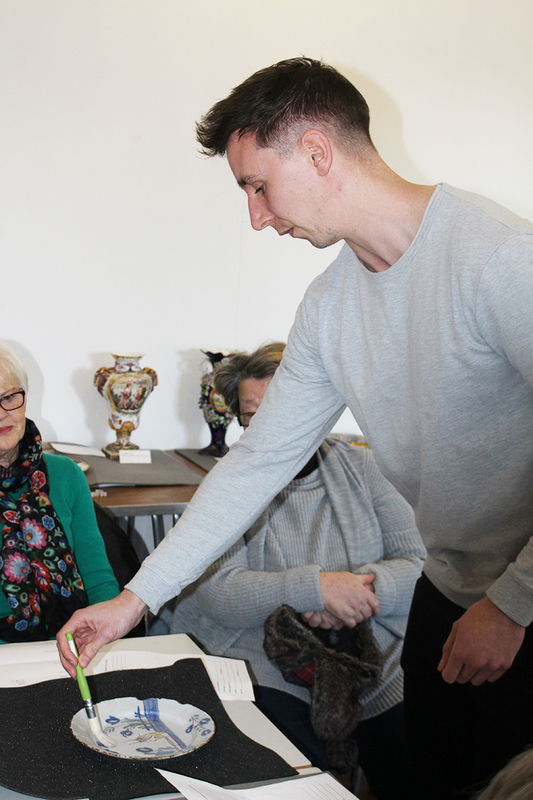 He showed the volunteers different types of brushes and how to adapt them for cleaning (by wrapping masking tape around the base of the bristles to cover any sharp edges that could accidentally scratch or damage the ceramic surface). 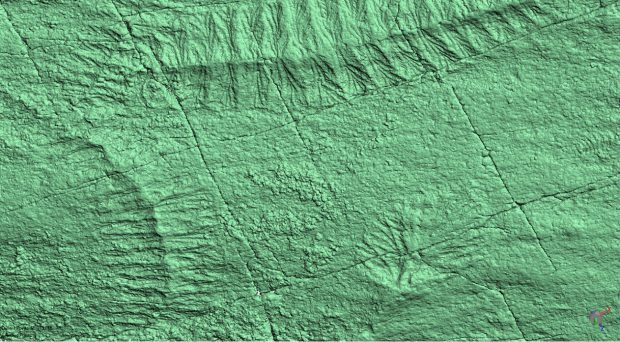 He advised the use of short movements, and brushing away from the object to take the dirt off the surface (below). 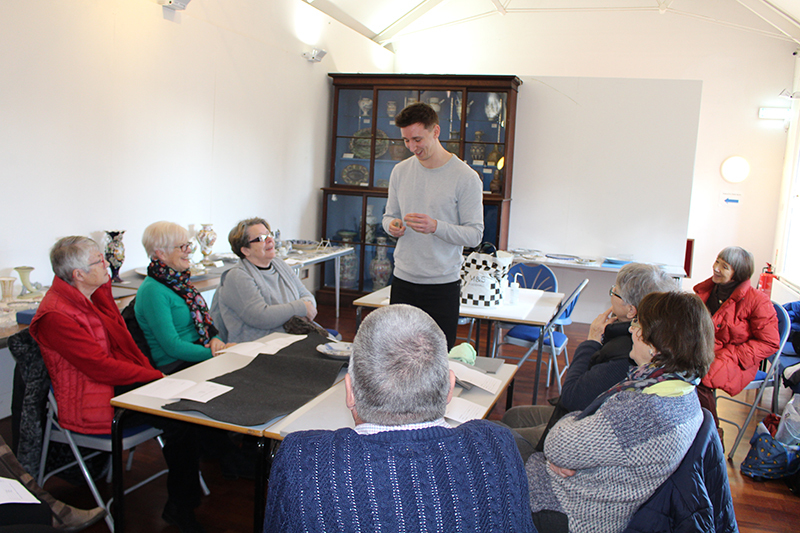 Tim also showed the volunteers how to use a small square of microfibre cloth to remove further dirt and stains. Tim then explained how to undertake a wet clean. The cleaning solution was made up by adding a very small amount of detergent (a concentrated neutral liquid with no added colourants or perfume) to warm water in a small beaker. The detergent should be applied with small cotton wool swabs, in a gentle stroking fashion, starting at the top and working systematically down the object (below). This process should be repeated—with dirty swabs being discarded and fresh ones used, and the detergent and water being regularly refreshed—until the swabs come off clean in all areas. 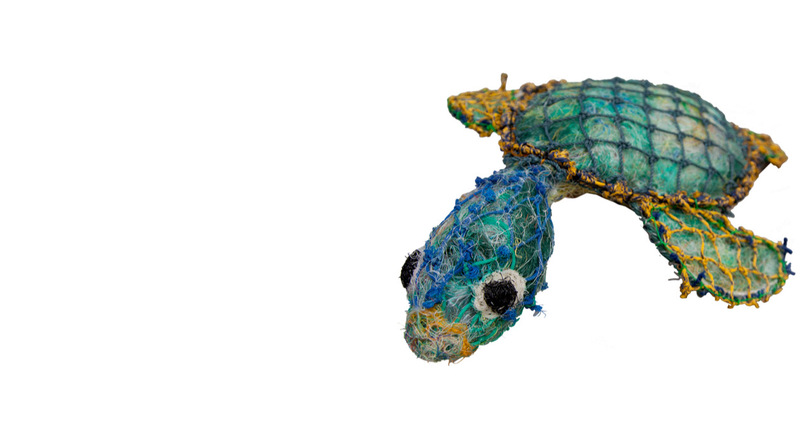 It was surprising how much painstaking cleaning certain objects required (below)! Tim also emphasised how important it is that no detergent or water be left on the ceramic surface. So the ceramic must be diligently cleaned with cotton wool swabs dampened with either de-ionised or distilled water until all the detergent has been removed. He also demonstrated how to assist the drying process by gently wiping the ceramic with a clean cotton cloth or paper towels. 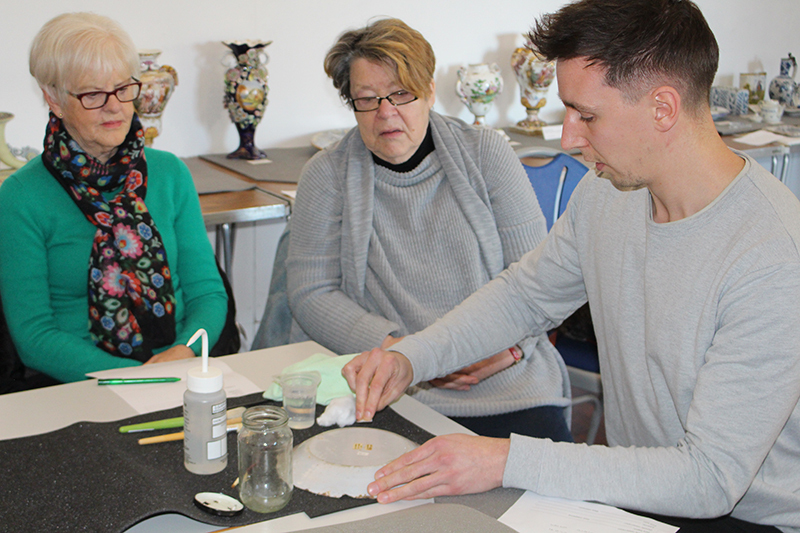 Having demonstrated the entire wet cleaning process with a plate, Tim then repeated the process using a ceramic item with a much more complicated shape: a vase with many delicately modelled flowers applied to its surface (below). Tim explained that delicate areas, such as the decorative flowers, or hard-to-reach sections, should be cleaned using cotton buds, either shop-bought or made up using wooden skewers with cotton wool balls rolled onto the top (below). He also alerted the volunteers to the fact that they might discover a build-up of dust inside certain vessels and containers, such as vases or teapots, and that it might be possible to remove this with a small conservation vacuum cleaner. Tim finished off the step-by-step demonstration by making sure that the volunteers understood how to complete the Conservation Record forms with a summary of the treatment undertaken, and the importance of signing it and dating it for the historic record, so that future Museum staff and volunteers would know when an object had last been cleaned, by whom and what techniques had been used. Having had a chance to put questions to Tim, Julia and me, and having been given the cleaning equipment and relevant forms to complete, the volunteers were then invited to select a ceramic object of their choice from the side tables, bring it back to their work-stations and get cleaning! Tim, Julia and I remained on hand to supervise, assist and answer queries as necessary (below). It was fascinating for me to watch the volunteers diligently at work. A remarkable hush fell over the room as they started work, and became utterly engrossed in it: the concentration was palpable! It was actually very hard to get our wonderful team of volunteers to break for lunch (kindly provided by Sarah), so absorbed were they in their various tasks, but after some persuasion they did down tools for a very short refuel! After their well-earned refreshments and a diligent hand-wash, they returned with remarkable alacrity to their work-stations and carried on. 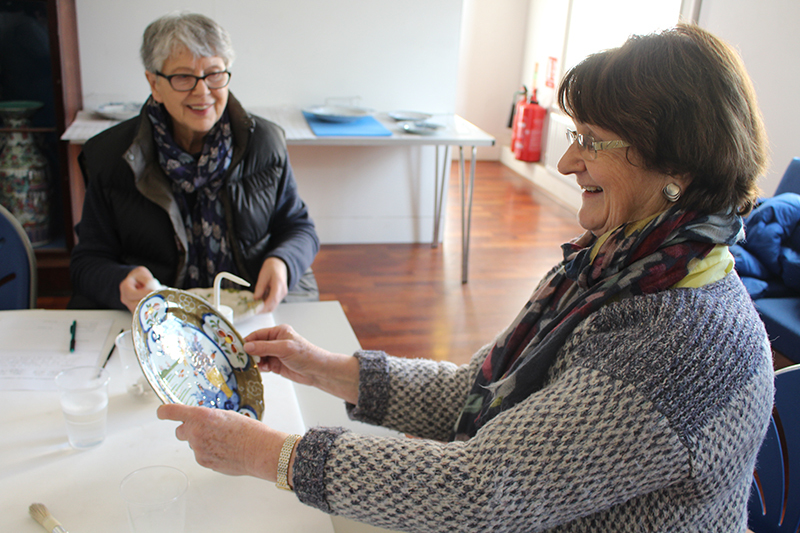 There were smiles all round and a growing sense of individual pride and group satisfaction as more and more ceramic pieces were cleaned, with team members congratulating each other on what a great job their neighbours were doing. 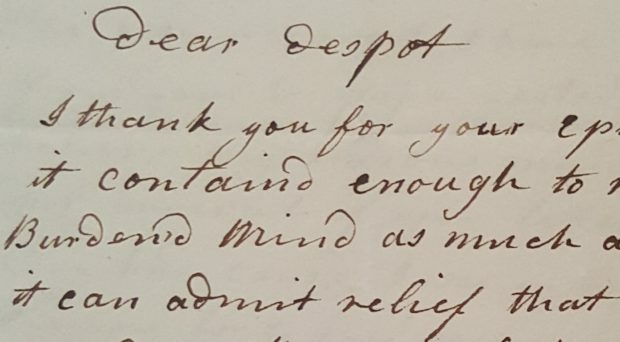 There was also some well-humoured rivalry as volunteers sought to outdo each other in the diligence of the cleaning they were undertaking, and the surface sheen that resulted! 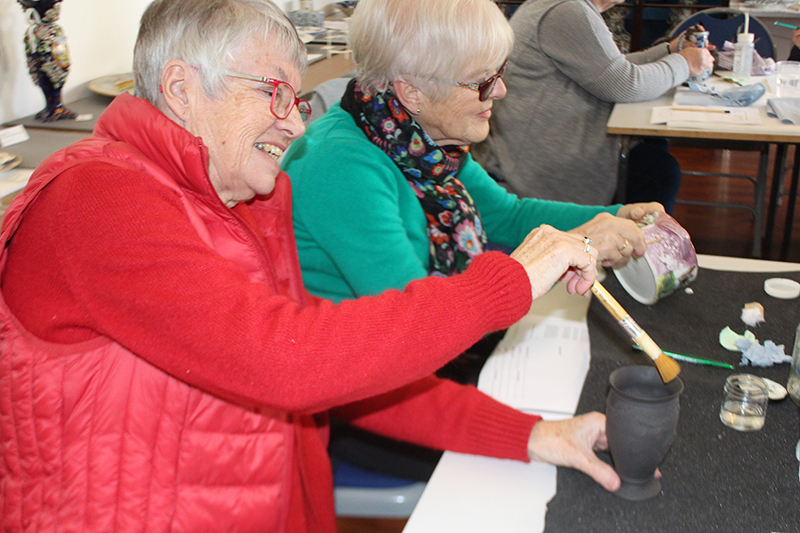 Sarah kindly broke away from other aspects of the deep clean project to join us throughout the day, and took some photos of the Operation Wisbech Ceramics Volunteer Team hard at work (below), which were immediately Tweeted. 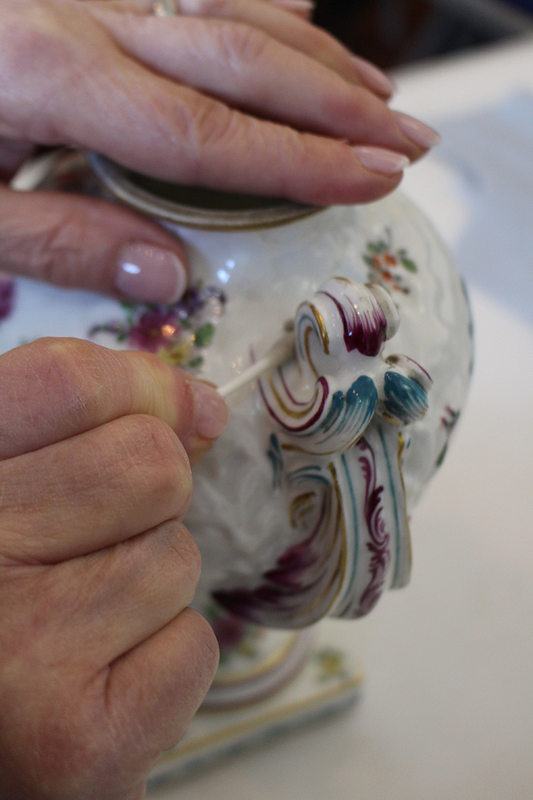 By the end of the day, thanks to the outstanding diligence and efforts of the volunteers, nearly 30 ceramic items had been thoroughly cleaned. 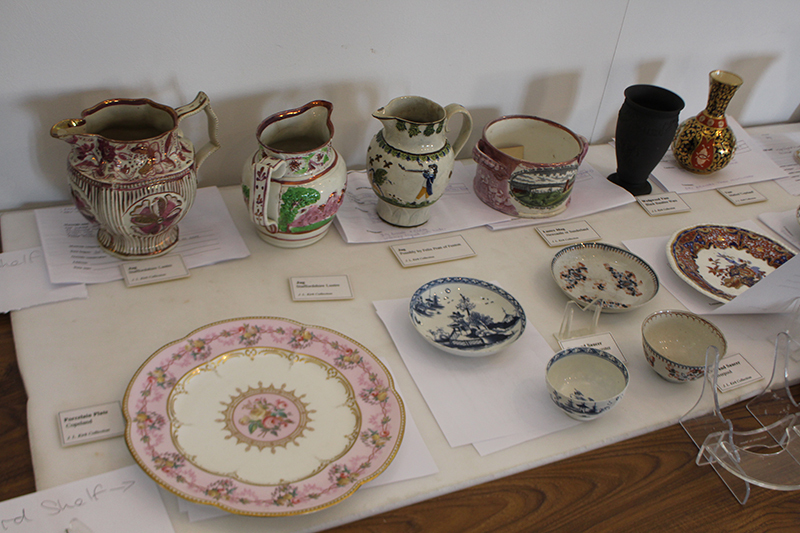 Some of the sparkling newly-cleaned ceramics at the end of the day! 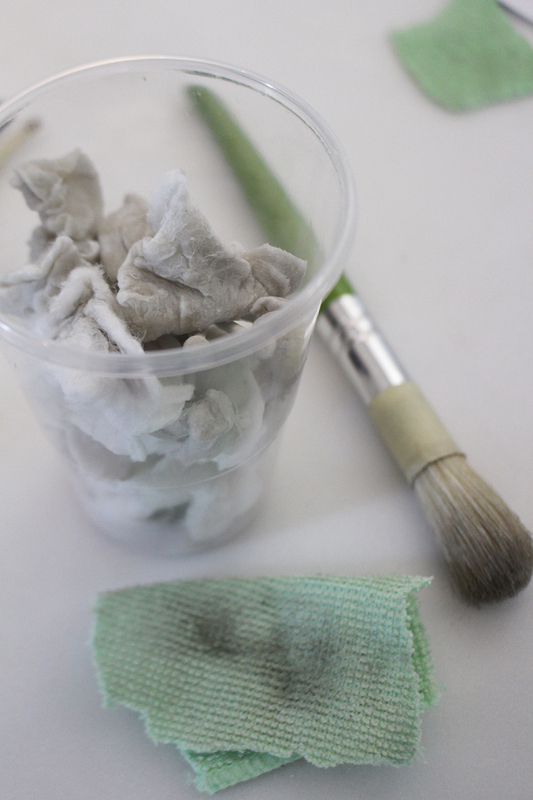 It was very satisfying to review everything that had been achieved, and to see all the discarded grime-encrusted swabs, brushes, cloths and cotton buds (below)! The dirty discarded swabs and brushes! 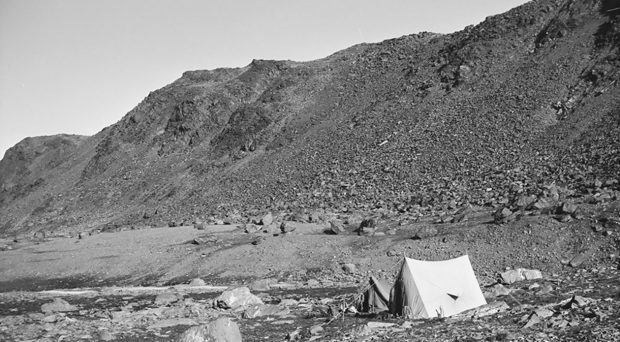 We were all pretty exhausted but extremely pleased by what we had learnt, how much we had achieved and how enjoyable the training session had been. 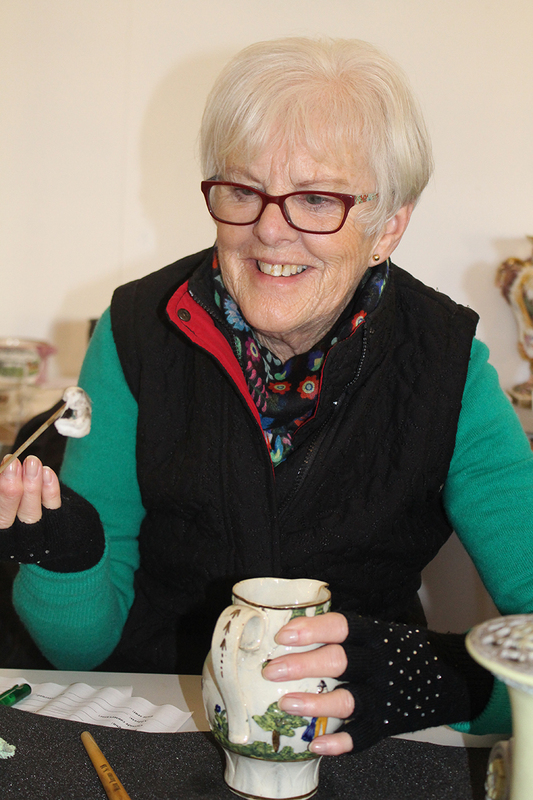 Smiles all round at the end of the highly productive and richly rewarding Wisbech Ceramics Spring Clean! So, another MISSION SUCCESSFUL for Operation Wisbech Ceramics! 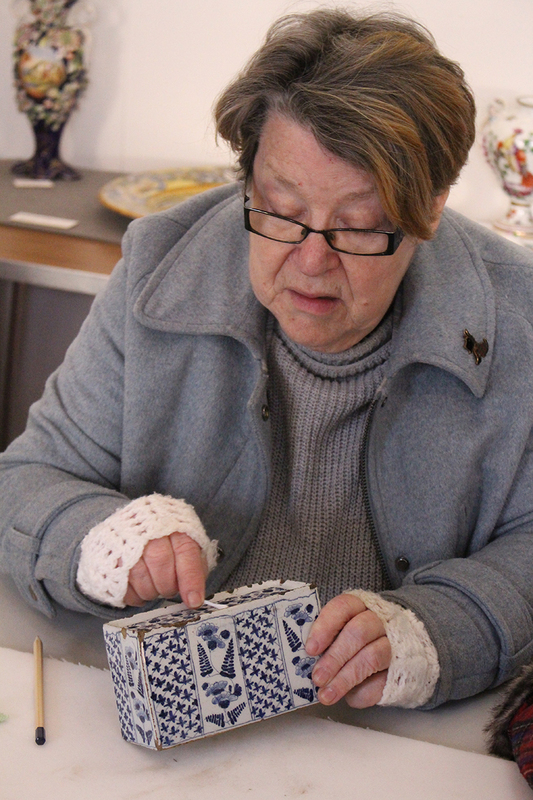 You can read more about Operation Wisbech Ceramics on this blog, as well as find out more about the UCM’s partnership with W&FM.